On September 20 The Arizona Republic reported the Senator John McCain (R-AZ) refuses to campaign on behalf of Republican Senate candidate Cory Gardner (R-CO-4th Dist.) because incumbent Sen. Mark Udall (D-CO) is a family friend. 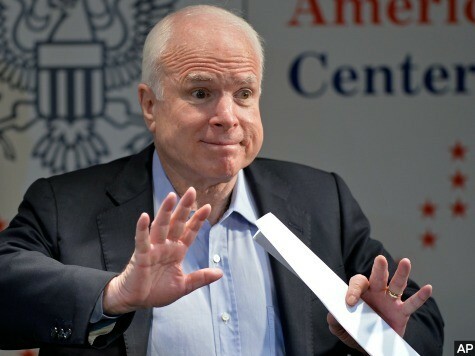 According to the Republic, McCain confirmed he is avoiding a trip to Colorado because of his “long association” with the Udall family, especially with Senator Udall’s late father, Representative Morris Udall (D-AZ). He says the elder Udall showed him the ropes in DC when he first arrived and he is indebted to him and his family for it. McCain’s refusal to campaign against a Democrat in Colorado comes as polls show Republicans are in a position to seize control of the Senate in November. Current poll averages on Real Clear Politics show Republicans with a 47 to 45 seat lead going into the elections, with eight seats in the “toss-up” category. One of the seats considered a toss-up is Udall’s, but McCain does not want to campaign against his friend. On September 19 Breitbart News reported that Gardner was leading Udall by 8 points, according to a Quinnipiac poll.